Tropical ecosystems worldwide are greatly threatened by human disturbance and climatic change, concurrently. Human and natural disturbances such as hurricanes have significant pervasive influences on animals, including changes in species density, diversity, and composition. In the past few years, hurricanes have become more frequent and intense as a result of climatic change. Following human and natural disturbances, the population dynamics of animals, as well as ecosystem functioning, are affected. In the face of disturbances, some native animal species are able to persist in these altered environments, while some other species may go locally extinct. The persistence of some native species in disturbed habitats may occur throughout morphological, physiological, and behavioral adjustments of their individuals. The dry forest is the most threatened of all tropical forest ecosystems worldwide. In the Pacific Coast of Mexico, the dry forest is subjected to constant human and natural disturbances of different magnitude and intensity, such as droughts and hurricanes. Human disturbances in the region consist mainly of deforestation for cattle-raising activities. Thereafter, lands are abandoned, leading to forest regrowth in areas where vegetation recovery depends mainly on the time after cattle pasture abandonment. 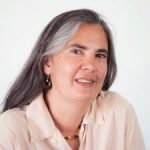 The objective of this research was to increase our understanding about functional traits allowing native amphibian and reptile species to survive in a tropical dry forest that has been subjected to continual environmental changes and also to explore how these animal groups will function in the future. We used a functional ecological approach to detect resilient and vulnerable species of frog, toads, and lizards before and after Hurricane Jova hit the Pacific coast of Mexico in 2011. Using the number of individuals of each frog, toad, and lizard species, we compared functional traits including habitat preference (terrestrial, arboreal and riparian); body size (large, medium and small); and, for amphibians only, reproduction type (broadly, if eggs are laid or not in water bodies with aquatic tadpoles and species laying eggs on the ground, without tadpoles) of the species inhabiting tropical dry forest under different successional stages. The study included the following successional stages (in years) after pasture abandonment: active pastures, 0 y; early-forests, 5-6 y; young-forests, 8-10 y; intermediate-forests; late-forests, 15-17 y; and old-growth continuous forests. The different successional stages were surveyed for a period of two years before the passage of Jova and thereafter for two years after the hurricane. In pastures and secondary forests of different ages, the animals are exposed to environmental threats that are not frequently found in well-preserved continuous tropical dry forests, such as dehydration, predation by invasive and/or exotic fauna, agrochemicals, and many other air, water, and soil pollutants. 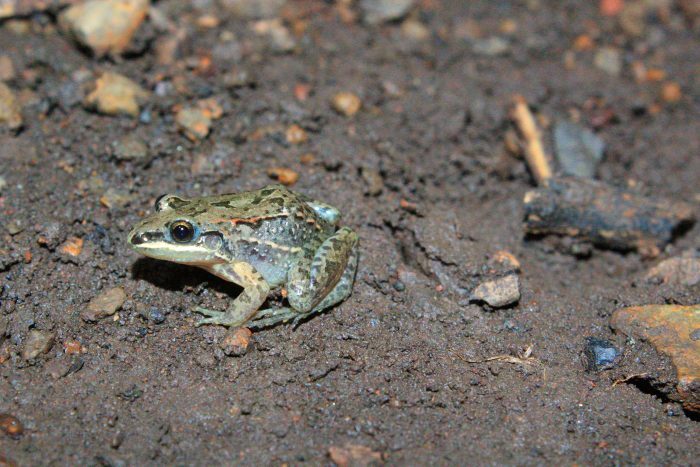 In total, we recorded 3, 943 individuals representing 17 species of frogs and toads and 18 lizard species. The impact of hurricane Jova at different forest successional stages affected the number of frogs, toads, and lizards in contrasting ways; while the total number of amphibians declined by approximately 20% after Jova (from 736 to 511 individuals), lizard numbers increased by 50% (from 1084 to 1612). Natural and human disturbances lead to resource scarcity for some species and, at the same time, to resource supplementation for others. The number of terrestrial and medium-sized lizard species, such as the spiny lizard Sceloporus utiformis, increased after Jova while arboreal and small-sized lizards, such as the tree lizard Urosaurus bicarinatus, decreased after Jova. In the case of frogs and toads, the arboreal and terrestrial large-sized species declined elsewhere, such as the tree frog Diaglena spatulata, the toad Incilius marmoreus, and the lowland burrowing tree frog Smilisca fodiens. 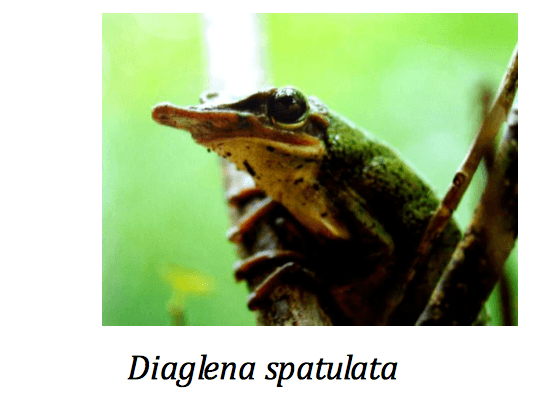 In contrast, the medium-sized black-blacked frog, Leptodactylus melalanonotus, and small-sized species such as the emerald tree frog, Exerodonta smaragdina, both with aquatic tadpoles, increased in pastures after Jova. Soil water infiltration has shown to decrease in pastures due to soil compaction by cattle trampling and frequent fires. 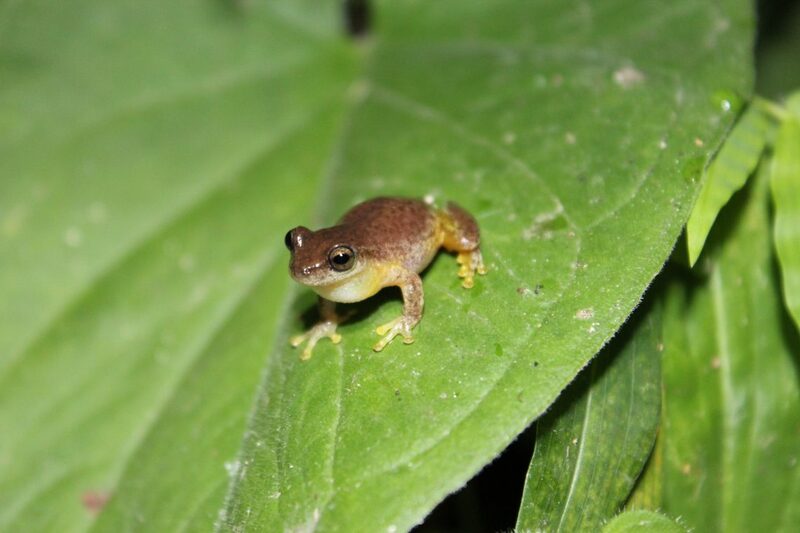 These conditions could have favored the creation of ponds and puddles after the heavy rains and floods caused by Hurricane Jova, which, in turn, promoted the colonization and prevalence of the tiny frog L. melanonotus, which was exclusively recorded in active pastures. These dynamic faunal communities are the result of vegetation structure that changes through successional time and space, affecting resource availability for the species and also predator-prey interactions. By determining the sensitivity or resistance of frogs, toads, and lizards to habitat degradation, it would be possible to integrate different aspects of functional ecology into the management of these diverse ecological systems. Many studies on disturbed tropical landscapes consist of listing richness and abundance of animal species and how they change in relation to preserved forests. Tropical scientists need to look forward and to understand how some of the native faunal species are able to cope and survive in human-induced novel habitats. The degradation of tropical habitats is chronic, and, therefore, integrating functional ecology to management practices is relevant for the conservation of tropical biodiversity. Taking into account the functional diversity of faunal assemblages — morphological, physiological, behavioral, and life history traits — would permit to detect the ways animal species face novel environmental conditions after disturbance. These findings are described in the article entitled Resilience and vulnerability of herpetofaunal functional groups to natural and human disturbances in a tropical dry forest, recently published in the journal Forest Ecology and Management. This work was conducted by Ireri Suazo-Ortuño, Jorge Marroquín-Páramo, Yunuen Soto, Hugo Siliceo, and Javier Alvarado-Díaz from the Universidad Michoacana de San Nicolás de Hidalgo, and Julieta Benítez-Malvido from the Universidad Nacional Autónoma de México. Ireri is a research scientist at the Universidad Michoacana de San Nicolás de Hidalgo, Instituto de Investigaciones sobre los Recursos Naturales INIRENA.